Warner Bros president of production Jeff Robinov is a complete idiot. (Can you guess how I feel about this?) This fine gentlemen has decided (allegedly, now) that since Jodie Foster’s The Brave One, Emma Robert’s Nancy Drew, Hilary Swank’s The Reaping, and Nicole Kidman’s The Invasion fared poorly at the box office that Warner Bros. will no longer make films with women in the lead roles. Update: Warner Bros has denied this, but I still feel it needs to be talked about…just to make sure we’re hitting home with how ridiculous this idea is. 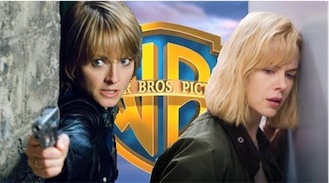 The Brave One – With Jodie Foster coming off hits like Panic Room and Flight Plan, how could this one not be a hit? Oh yeah – maybe because no one has been going to Jodie Foster movies since Contact. On top of that, Jodie Foster’s core audience is largely female (can’t imagine why), and it might be – JUST MAYBE – that they don’t want to see a revenge picture. Maybe. Nancy Drew – Let’s see…did you see an ad for this thing? I didn’t. I had no idea a Nancy Drew movie even came out until I walked into the theater and it was playing. Obviously, I’m not the target audience, but Nancy Drew was released in the summer – I assume as counter programming – and that doesn’t always work. Why wasn’t this film released at a less crowded time? If it had been, a few people might have seen it. Reaper and Invasion – I lump these two movies together because THEY WERE TERRIBLE! It’s not that the movies has female characters in them…it’s that they were bad movies. NOTE TO WARNER BROS – STOP MAKING CRAP and PEOPLE WILL GO TO THE THEATER TO WATCH YOUR MOVIES!